1. In your form builder, click "Setup & Embed"->Click "Embed Form"
2. 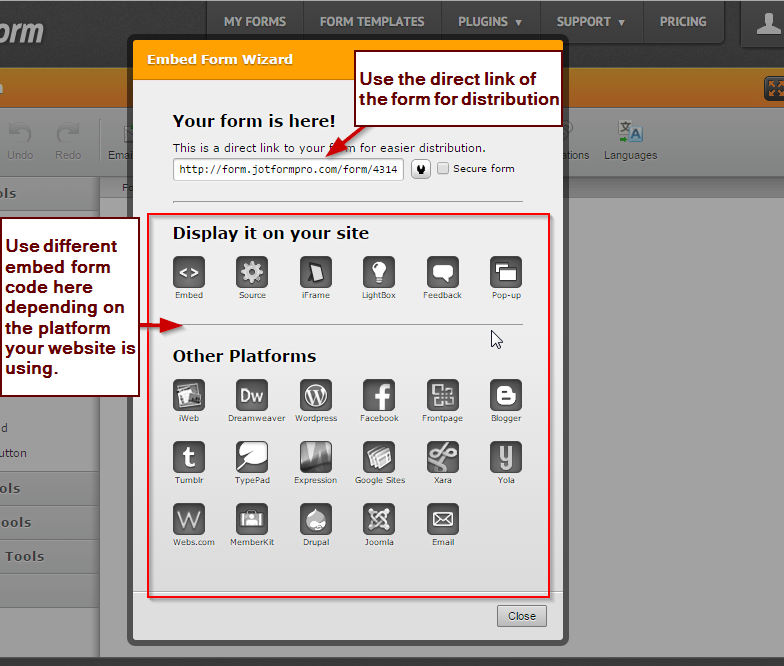 It will then display the "Embed Form Wizard", here you can use different form source code to embed on your website. But if you are still having problems, please do send us the code you are embedding and the link to your website. I hope this helps. Let us know if you are still having problems.